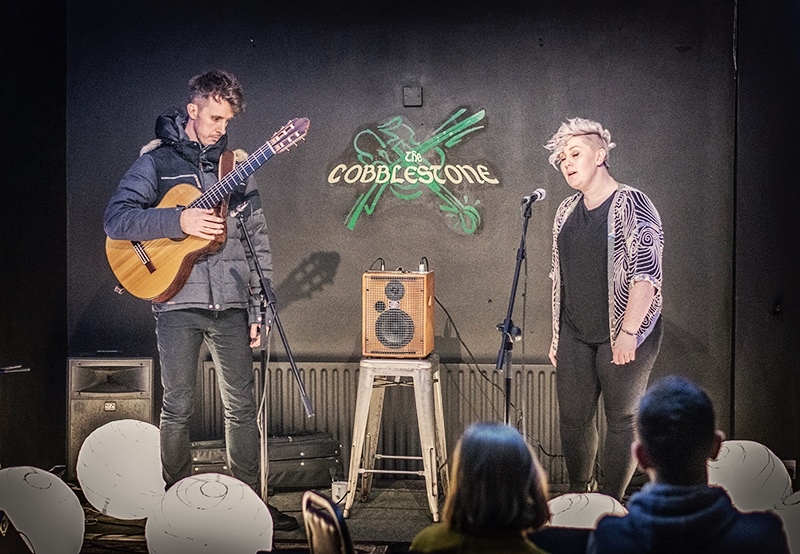 We were entertained by a fine selection of Songs from Ireland, beautifully performed by Gráinne Hunt & Brendan Walsh at their album launch in a packed Backroom of the Cobblestone. A collection of traditional Irish ballads and folk songs, in both English and Irish, carefully arranged by Brendan to give a new feel to these beautiful old songs. Gráinne and Brendan met in 2000 when they both attended NUI Maynooth, completing the BA (Music) together there. In early 2018 they joined forces to perform at Shannonside Winter Music Festival and from there, Songs from Ireland was born. The album was recorded in Soundville Studios, Luzern, Switzerland, the 13 tracks include Raglan Road, Trasna na dTonnta, Song for Ireland and Mo Ghile Mear. @jnrbaker Clondalkin village, where I live, has a poster ban during all elections. Works really well too. @jnrbaker My mum was baptised there in 1925 . Mum was born in the Coomb hospital & then she was privately fostered. RT @qikipedia: The lowest note ever detected is a B flat, 57 octaves below middle-C. It is emanating from a black hole 250 million light years away.